Utah is no stranger to the horror genre, with hundreds of successful scary productions filmed in state. And with Halloween creeping up on us, what better time to share the spookiest picks made right here in state? From iconic features, a recent web series and soon-to-be-released content, there are enough to keep you entertained for the Halloween season and beyond. Filmed in Salt Lake City, the film has been contemporarily noted by critics and film scholars for its cinematography and foreboding atmosphere. The film has a large cult following and is occasionally screened at both film and Halloween festivals, and has been cited as a wide-ranging influence on numerous filmmakers. The sequel to William Friedkin’s 1973 film, The Exorcist, stars Richard Burton and Linda Blair. The film, unfortunately, had a disappointing reception in comparison to the original, but is still worth a watch, particularly if you are planning a movie-marathon. The American cult supernatural horror film was produced and directed by Steve Miner and stars Richard E. Grant. Utah’s iconic Salt Flats appear in the feature. Following its release, the film was compared to The Terminator. The made-in-Utah American TV miniseries is based on the acclaimed novel of the same name by Stephen King and originally aired on ABC in May 1994. The adaptation was filmed everywhere from Pleasant Grove to Ogden. The series won two Emmy awards, as well as garnering a number of nominations for Emmys and Screen Actors Guild Awards. The American slasher film stars Paul Rudd and Donald Pleasence. It is the sixth installment in the Halloween film series, three of which were filmed in Utah. The feature shot in various Utah locations, including Salt Lake, Midvale, Ogden, during the winter of 1994-95. The crew was hit by an unexpected early winter snowstorm which complicated production and, as a result, several scenes which were due to take place outdoors were quickly moved to indoor locations. The American science fiction horror film includes an all-star cast of Ben Kingsley, Michael Madsen, Forest Whitaker, Marg Helgenberger and Natasha Henstridge. Several scenes were filmed in Utah, including the opening scenes, which were captured at the Tooele Army Depot, and a Victorian-era train station in Brigham City. The feature turned out to be a box office success. A theatrical sequel, Species II, was later produced, followed by a book adaptation and two comic book series. The horror-comedy web series initially premiered at the 2017 Sundance Film Festival. 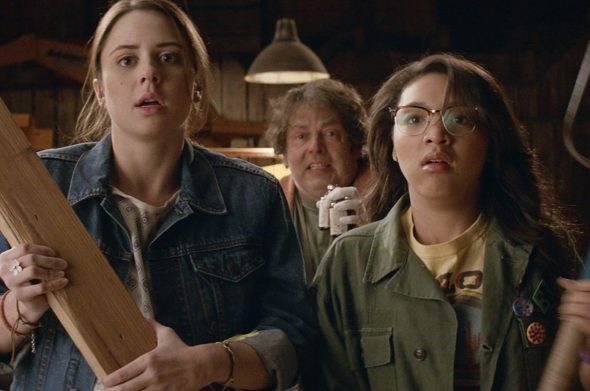 Seasons one and three were both filmed in Utah, and the show has been likened, genre-wise, to movies such as Shaun of the Dead and Zombieland. The critically-acclaimed supernatural horror film, written and directed by Ari Aster, premiered in the Midnight section at the 2018 Sundance Film Festival. Starring Toni Collette and filmed in Utah, the production became A24’s highest-grossing film worldwide. This feature also received a Community Film Incentive to film in Utah. Written and directed by Kurt Knight, the thriller tells of witchcraft and medieval monks and stars Jake Stormoen (The Outpost) and Kristian Nairn (Game of Thrones). The Appearance won awards for Best Sound and Best Score at Utah’s 2018 FilmQuest Festival. Shot in Utah County in 2017, Behind You received support from the state’s Community Film Incentive Program, a fund established to encourage Utah-based talent to keep productions in state. It was co-written and co-directed by Andrew Mecham (Mythica: The Necromancer) and Matthew Whedon. “We believe strongly in supporting and keeping film jobs in Utah. The majority of our team is local, including 100 percent of our crew. Although this film falls in the horror genre, it is projected to be PG-13, with a positive, uplifting message that love is more powerful than fear,” Mecham said.